The most common support issue we get is that all of the flown survey area was not included in the map after processing with Maps Made Easy. A hole or holes in the uploaded expected outcome is usually the cause of a lack of overlap for a variety of reasons. All of the images that are uploaded are processed to detect common features between them. With very complicated scenes, such as trees, or actively moving scenes, such as water, it can be nearly possible to find a good set of common features to match. Images that do not have good objects to match with are not included in the output. Our Data Collection guidelines page (https://www.mapsmadeeasy.com/data_collection) attempts to call out all of problems that arise during data collection. Data collected that doesn't follow these guidelines is not likely going to turn out very well.  All jobs processed by Maps Made Easy require that the user has read the information on the Data Collection page and agree that the data being uploaded follows the guidelines. The following sections describe some of the most common issues users face in creating good mapping data. It is important to take the complexity of what is being surveyed into account when setting up the flight plan. 90% of the jobs that do not turn out well are due to large areas of trees being included in the survey area. 100% of these failures are due to a lack of sufficient overlap for the target. Trees are hard to deal with due to their complexity but also because they are tall. Tall items get less overlap than users generally intend to collect. The complex nature of the branches, leaves and the fact that they are usually in motion make them particularly hard to do an image-based reconstruction of. Generally, the orthophoto portion of the processing will turn out fine at 60-70% overlap. However, if there are trees included in survey area and you want the 3D components of the processing to turn out well, we recommend using 80-90% overlap in order to make sure we have enough information to represent the trees properly. Avoiding windy days when trees are involved is a good idea too. The following example shows a treed area that failed to process using Maps Made Easy. As can be seen in the associated overlap report, the overlap was marginal to begin with so when more complex targets were reached it was no longer sufficient. Overlap of at least 80% is recommended to be able to properly render trees. The overlap in the example is about 60%. Always in motion, highly reflective, and transparent, water has a lot of properties that make it hard to render well. Large areas of open water will not likely process well in any photogrammetric application. While it may turn out well enough in a 2D ortho map, water rarely renders well in the 3D outputs and can add unsavory motion related artifacts. If you must include water in a survey area, try to keep some shore structure in place to give our processing something to hold on to. Our processing is based on getting multiple looks at things. Multiple looks at things are attained through overlap. A tall object will be viewed less often than an object on the ground and will likely have problems rendering. If the tallest object in your survey area is 10 meters, fly at least 40 meters above ground. Flying with minimal clearances is not only dangerous, it will produce imagery with blocked areas and generate poor results. The taller the object, the less overlap it will get. This will particularly come into play when mapping areas that include terrain elevation changes, large structures or lots of tall trees. In addition to the height requirement not being met it is likely that there wasn't enough overlap between the images to properly reconstruct the scene. The images that are uploaded for processing need to have contiguous image overlap. If there are two (or more) separated islands of imagery that are either fully separated or don't have sufficient overlap between them only one of them will be processed and displayed.  If a users is uploading multiple different flights worth of imagery to cover a larger area is is very important to make sure that there is enough overlap between the individual flights to make sure they will both be included.